If you are tall, well-built, and want a scooter so that you can ferry some luggage over short distances, neither scooter here makes sense. 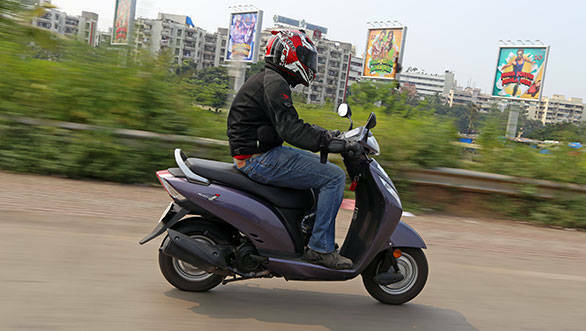 However, if you are petite, light, and, in fact, female, both the Honda Activa i and the Yamaha Ray Z were designed for you. These are light, narrow and come with low seat heights. Now before you begin throwing your arms up in the air about my facts being misplaced, let me clarify. Yes, the Ray Z is marketed as the new 'Bro' by Yamaha, but it is  barring some graphics and a two tone paint job  exactly the same as the Ray. And therefore, there's nothing manly about it. The Ray does look better than the Activa i, nonetheless. It is sharper, bolder and racier to look at than the dowdy Honda. It will certainly appeal more to those who care about how they look and who they are seen with. But that's not the only reason to pick up the Yamaha. The Ray has better build quality and sounder ergonomics in its favour too. And when you begin riding it, it feels lighter and more refined. It does feel quite tiny when astride, though. The floorboard is narrow, and the handlebar a tad too short and close. The upside here is the ease of manoeuvrability. Besides being easy to put on the main stand, the Ray is brilliant to filter through traffic. It changes direction without effort and even when you want to make U-turns, because there's hardly any weight to manage, even novice riders won't find it cumbersome. 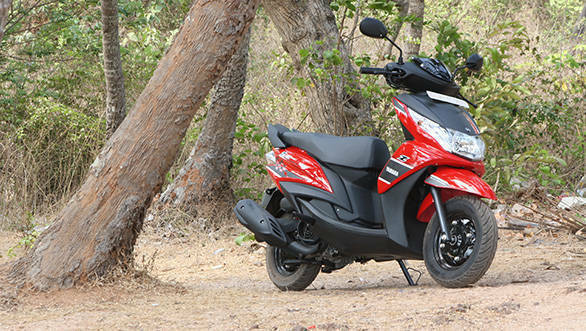 The Honda is easy to ride too at slower speeds, and even easier to put on the centre stand. But it too suffers from the same diminutive feel as the Yamaha, and a similarly narrow and close handlebar which leaves you feeling restricted. 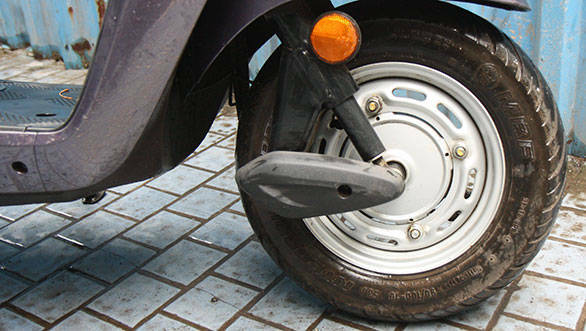 Now, the Activa i has a slightly wider floorboard, but because it is positioned closer to the seat compared to the Ray, it makes for more uncomfortable seating. In fact, with my height and build, the handlebar actually fouls with my thighs when turned. The Activa i could do with better ride quality as well. 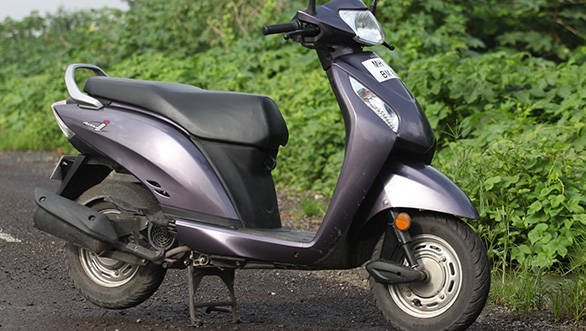 Not that the Ray Z has a brilliant ride, but compared to the Activa, it vibrates less and the absorption abilities, both front and back, are better sorted on the Yamaha; helped of course by its telescopic front suspension. 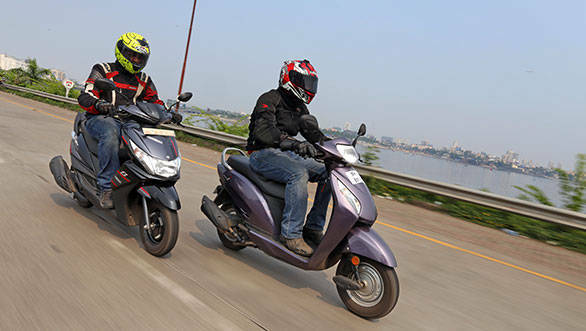 The Activa with its trailing link front setup gets tedious to ride at anything over 40kmph. It conveys every pothole, bump, and even painted rumbler strips with such ferocity, it leaves you numb and tired even over a short ride. The front in particular vibrates excessively, and it is very discomforting. The good news is, at least the suspension doesn't affect the braking for the worse. 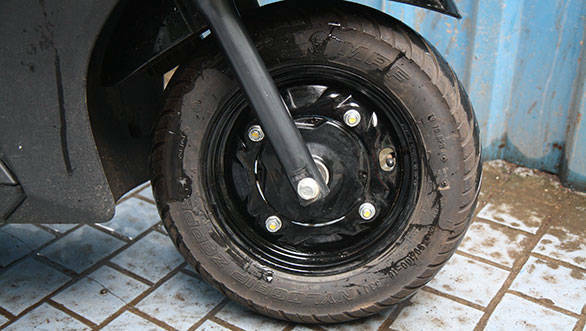 For a drum brake equipped two-wheeler, the Activa has good bite and progression and it only requires 20.6m to come to a stop from 60kmph. The Yamaha, meanwhile, takes longer, requiring an additional 4m to come to a halt. In terms of brake feel and bite though, the Ray Z is almost as good as the Activa. Where the Honda properly manages to steal a march over the Ray Z is performance and fuel economy. The Honda is faster, more eager and it boasts crisper and lighter throttle response. The Honda's engine displaces a little less compared to the Yamaha, but it makes more power and torque. Not surprisingly, it is the quicker off the line. 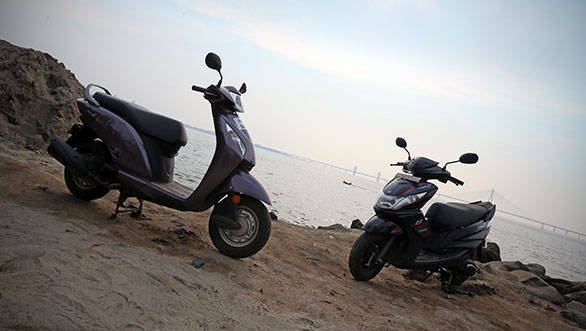 The Activa manages the 0-60kmph run in 10.1 seconds, while the Ray Z takes 10.8 seconds. This difference in times keeps increasing as the speed continues to rise. But the Activa runs out of breath sooner. It tops out at a little over 75kmph, which surprisingly is lower than even the regular, heavier Activa. The Ray Z, in the meantime, managed to clock almost 10kmph higher top speed. The Honda's trump card though, specifically for its core audience, is its higher fuel economy. The Honda returned 56.0kmpl in the city while the Yamaha managed a figure of 45.7kmpl on the same run. This also gives the Honda a higher range. 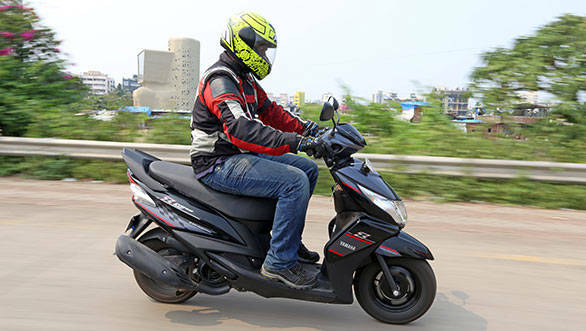 As is clear, the Yamaha Ray Z scores over the Activa i on almost all counts. It is better looking, it is better put together, and it has better seating ergonomics. It also rides better, and when you choose to get on the highway, its higher top speed will prove to be less stressful too. The Activa i on the other hand is a lot more economical and cheaper to buy. So, if you want a better scooter, get the daughter, sister, wife or yourself the Ray Z. But if you are seriously money-minded, you really don't have a better option than the Activa, now do you?